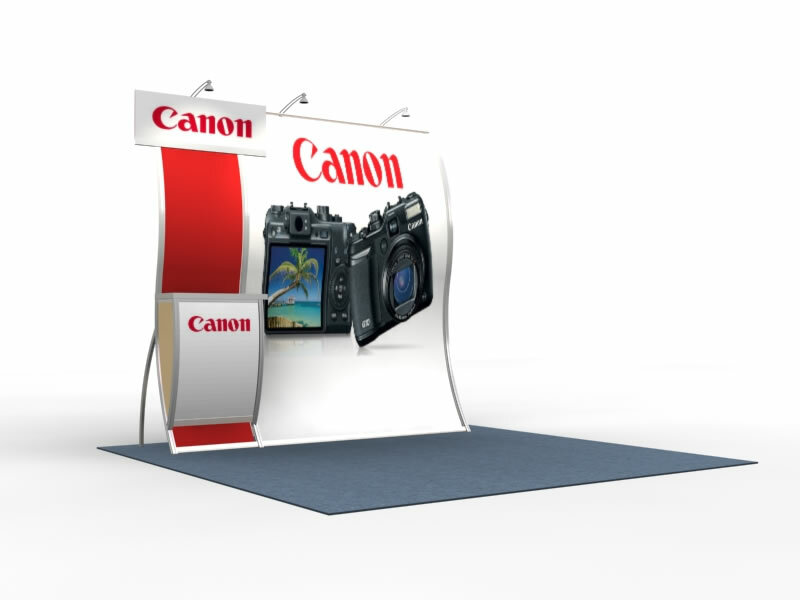 Perfect 10 is all about creative design and smart engineering. 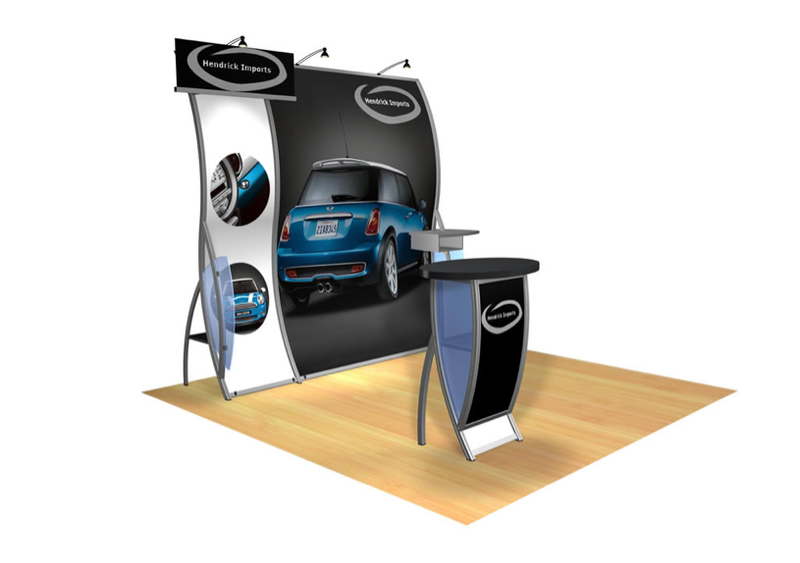 The distinctive frame is engineered for perfect weight distribution and each functional accessory, such as the cubby shelf, monitor mount, and dimensional signage, enhance the Perfect 10's visual and functional balance. 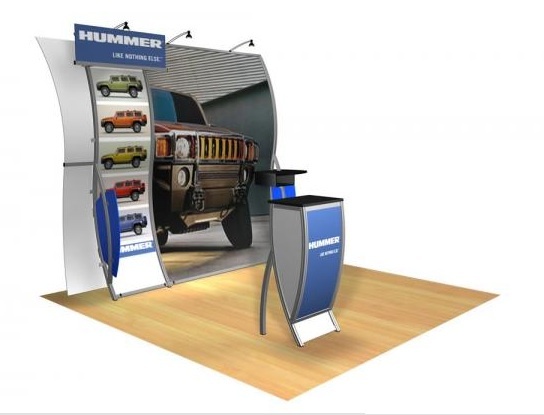 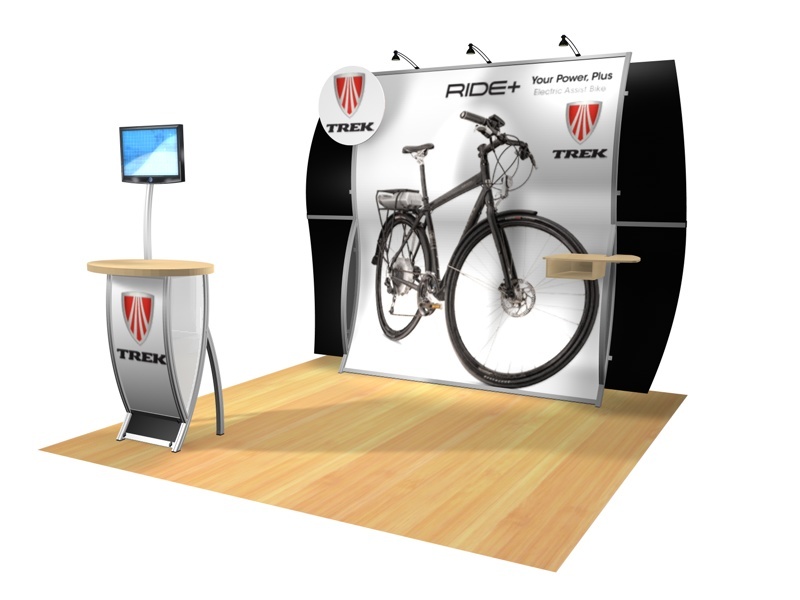 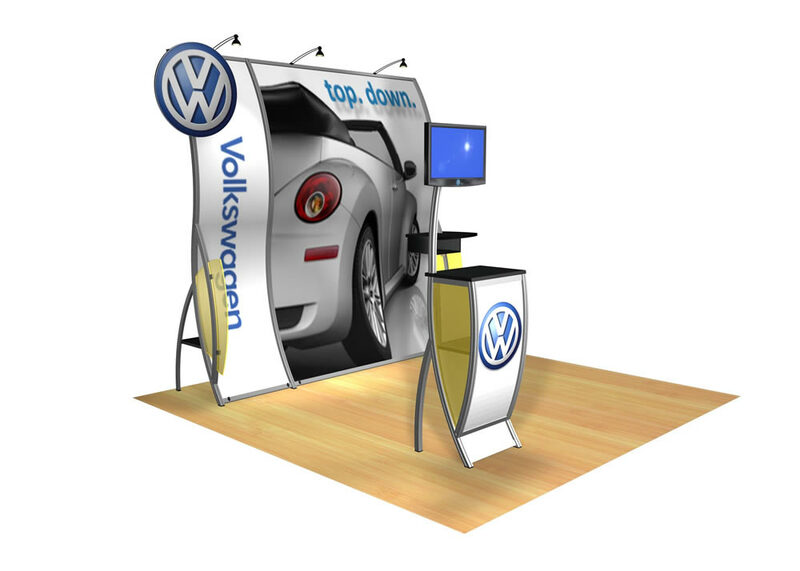 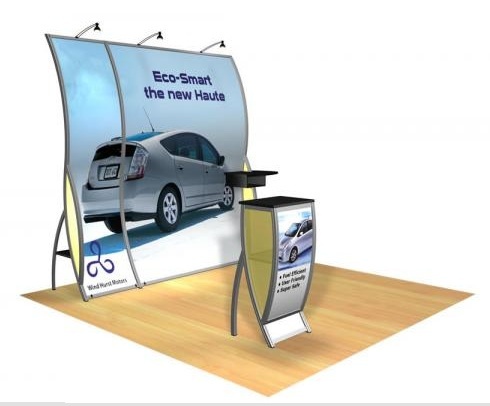 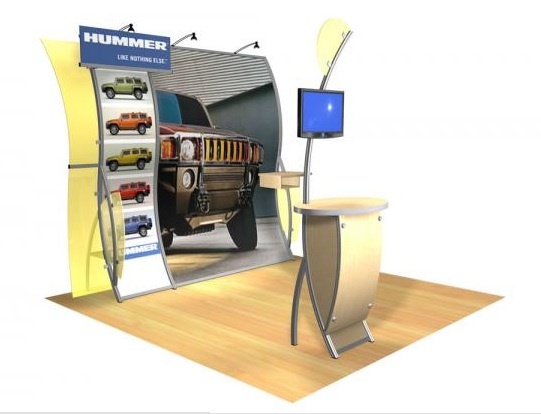 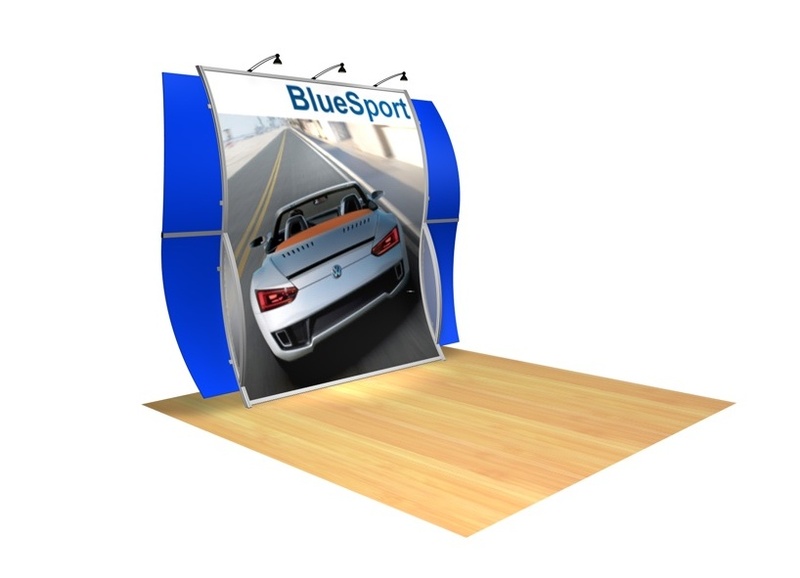 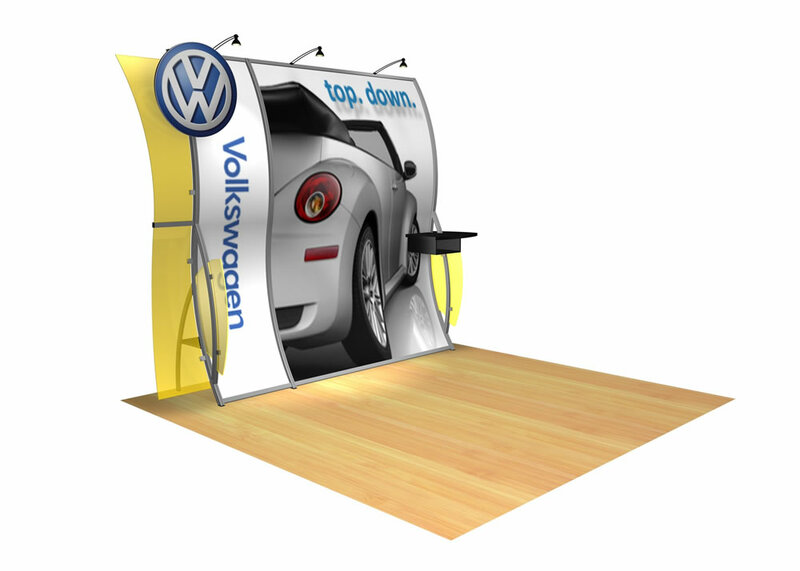 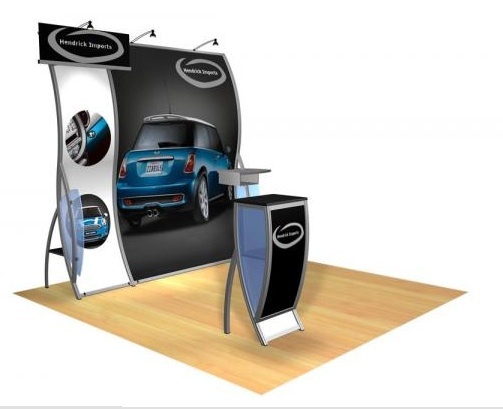 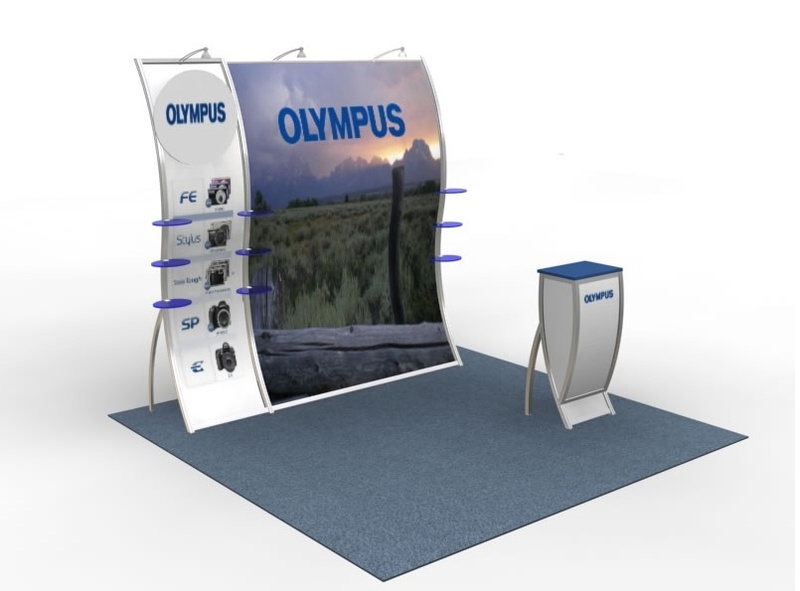 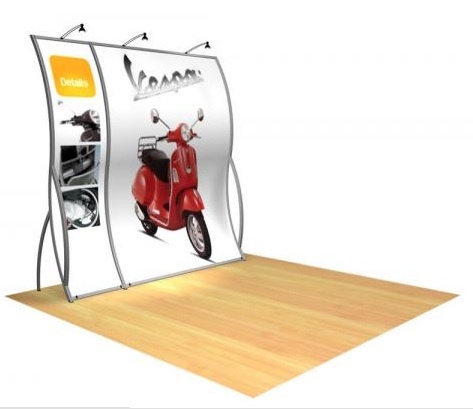 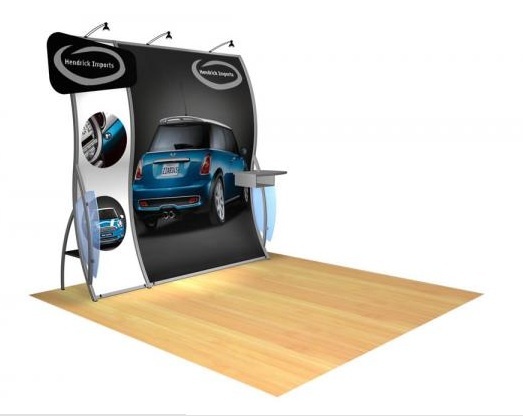 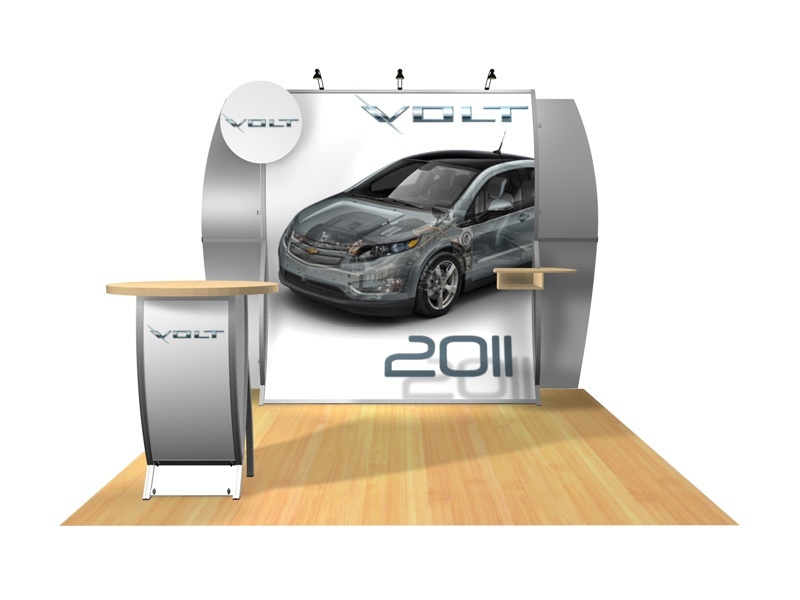 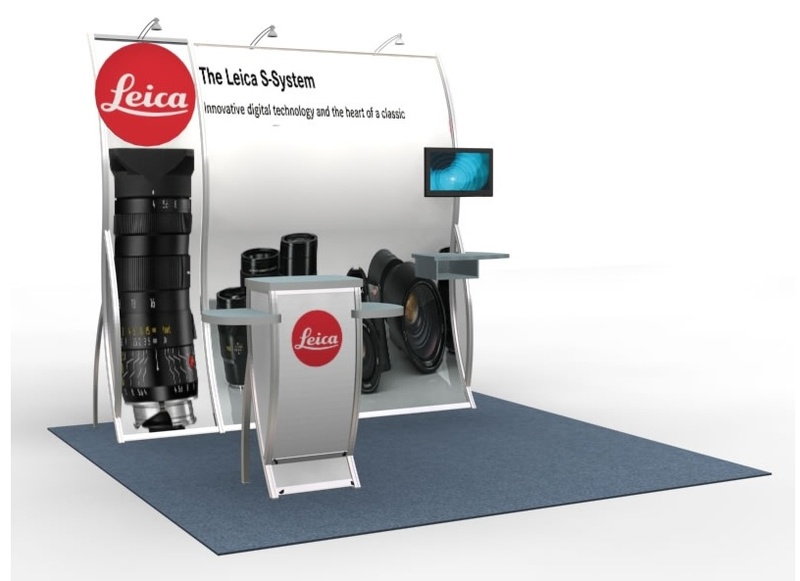 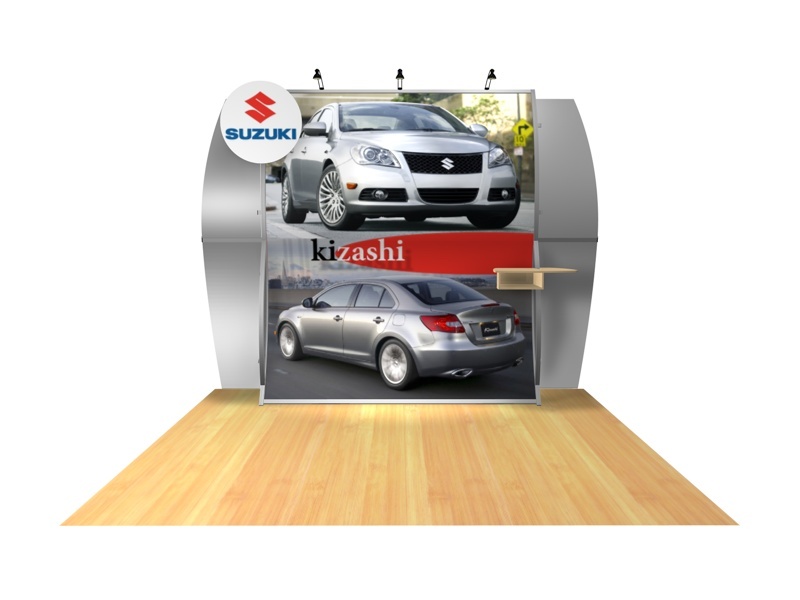 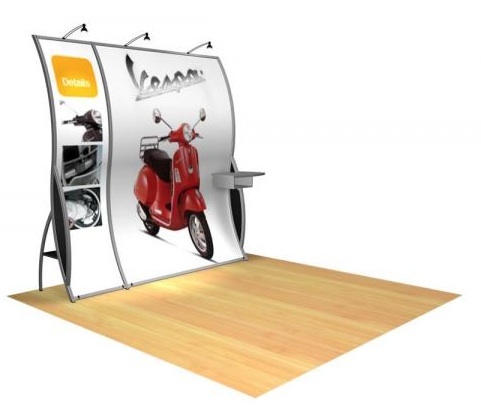 This trade show display combines quality, simple set-up, and large format graphics into a stunning marketing machine!